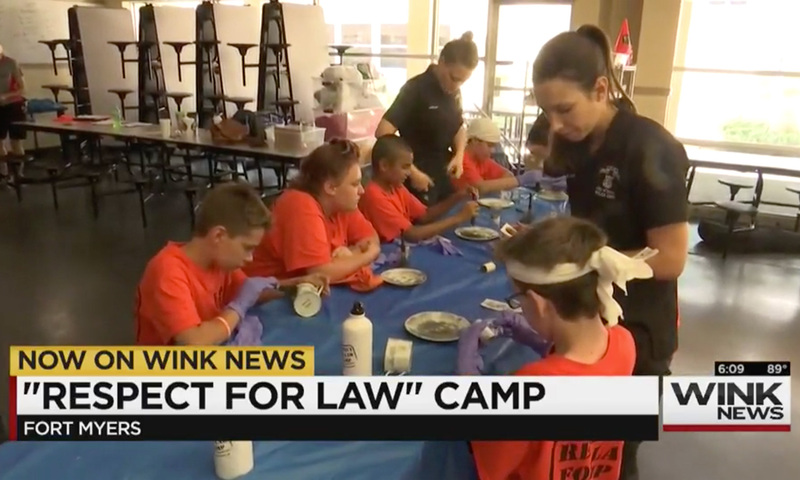 Dozens of children on summer break are participating in a training program with the Fort Myers Police Department. Officers are hoping to make an impact on every participant’s life at the 2018 Respect for Law Camp. The event will continue through Sunday at Bishop Verot Catholic High School. “It gives the kids an understanding that we’re all together. We’re all one,” said Sergeant Domonic Zammit, who has been part of the event for 13 years. The department is providing children between the ages of 11 though 14 with four days and three nights of training and techniques used by emergency responders. “It’s really nice to see us all come together for one common goal and one purpose, and that’s for the kids to have a better understanding for what we do,” Zammit said.